Please note: I was supplied a sample for test and evaluation, and I promise that my review is fair and honest. The screen protector was very easy to fit. I mucked up the first one due to being in a dusty environment, but the second one went on pretty much perfectly. Pushing out the bubbles was easy, I just used my finger, but you could use the squeegee too. The cut-outs for the front-facing camera, light sensor and headset speaker are perfect. I really like how only they are cut-out, rather than the whole top portion being open. This means that the screen is perfectly protected. I would say 98% of the screen is protected in total, which is fantastic! I’ve never been keen on matte screen protectors, as they tend to ruin the look of the display, but this is probably the best matte screen protector I’ve ever used. There is a slight loss in brightness, but it’s hardly noticeable. The quality of the screen (the perceived resolution) is slightly diminished, but it’s barely noticeable. The anti-glare properties are very good: it certainly is much easier to use the screen in direct sunlight. It’s not perfect, but it is much better than using a bare screen or a clear screen protector. 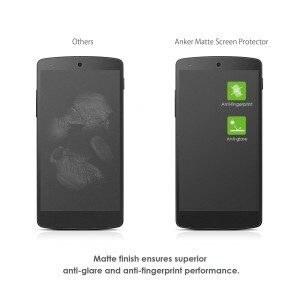 The BEST thing about this screen protector is the anti-scratch properties that go along with a matte screen protector. On a normal screen protector, any scratches are easily visible, but with this, they just cannot be seen! 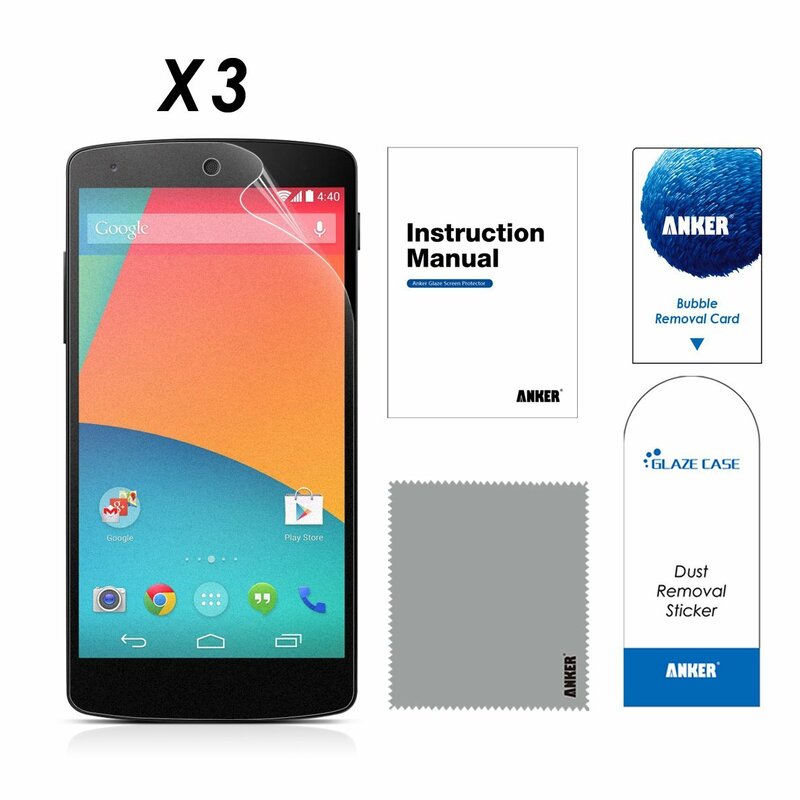 In addition, this screen protector doesn’t scratch easily at all. I ran some scissors over it (quite lightly) and it didn’t scratch AT ALL. I repeat, zero scratches. On a normal, non matte screen protector, these scratches would be easily visible. I love the lifetime warranty! If the product ever gets damaged, Anker send you another one! No quibbles, no fuss! Their support is fantastic. Any issues you have just send them an email and they’ll help you. There are a few minor niggles. I’ve used two out of the three screen protectors so far and at the very top, there are what appear to be scratches, or defects in the matte coat. They’re barely noticeable, but they are there, if you look at them in sunlight. They are maybe 1mm or two across and they go pretty much all the way along the top, with gaps in between them. In addition, on the very bottom, there appears to be a bubble that just won’t go away. This is certainly not dust, as it is in EXACTLY the same place as the first screen protector I used. The same can be said for the marks at the top. Furthermore, running your fingers along the protector, e.g. when playing games, does create more friction than a bare screen. It’s not a deal-breaker by any means, but it does make it slightly harder to play games, flick pages quickly in Chrome, etc. However, these very minor niggles will not change my decision to completely recommend this product. It is excellent! The price just seals the deal. 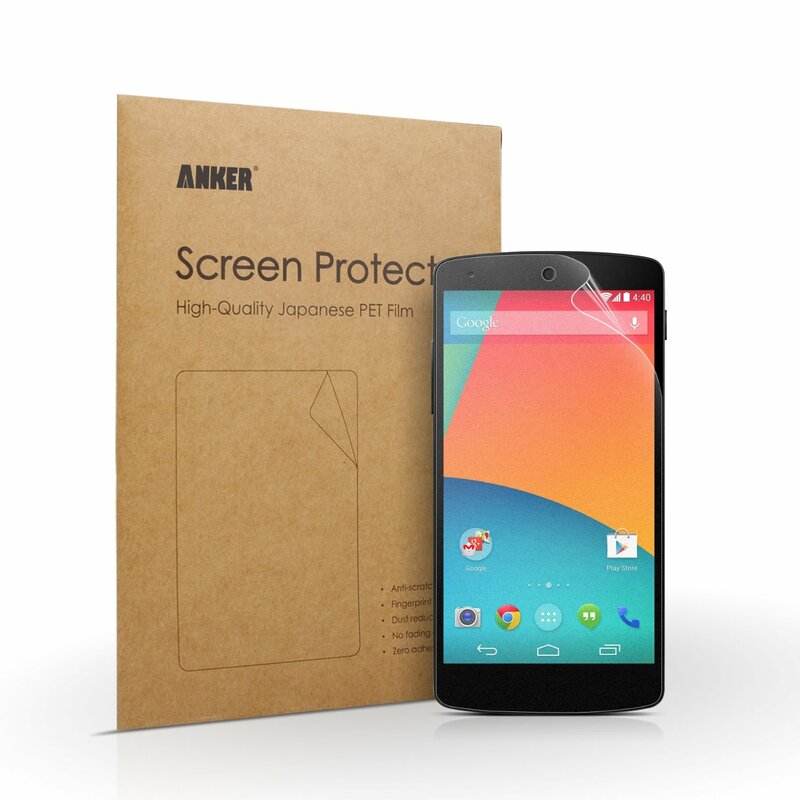 If you are looking for screen protectors, look no further than Anker! If you’d like to buy this product, you can do so from here (Amazon UK link). I’ve never been to keen on any screen protector. From my experience, it impedes on the overall user experience in several ways, which you have highlighted. However, I can definitely see the appeal depending on how much roughness the device will encounter over the course of use.